A decade on from buying them, the Japanese bank’s Europe, Middle East and Asia advisory units are industry laggards but still outshine the Americas operation Nomura built itself. That business is having a good year, but the crisis deal shows how hard it is to start from scratch. The logo of Nomura Securities is seen at the company's Head Office in Tokyo, Japan, November 28, 2016. 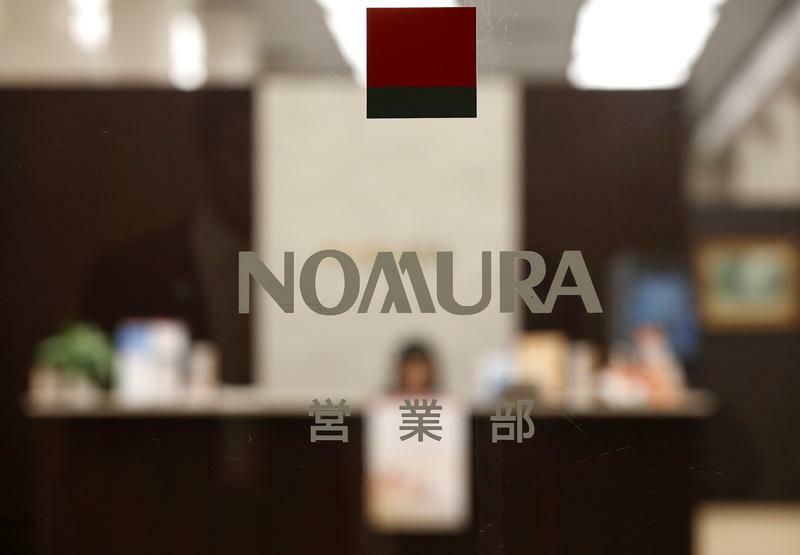 Nomura Holdings said on Oct. 31 that fees from investment banking in the six months ending Sept. 30 fell 13.5 percent year on year to 43.1 billion yen ($381 million). The Japanese bank, led by Chief Executive Koji Nagai, does not break out its investment-banking fees by region. However, data provider Dealogic calculates that Nomura has generated $664 million in global revenue from mergers and acquisitions, equity and debt capital markets, and loans so far this year. Since 2010, the Europe, Middle East and Africa unit has averaged 19 percent of the bank’s global fees, Asia ex-Japan 6 percent and the Americas 13 percent, according to Dealogic.